In the marketplace of ideas, legitimate biblical scholarship competes with the likes of Erich von Deniken (Chariots of the Gods) and Dan Brown (The Da Vinci Code), and other sensationalists. For every one hundred persons who know (and quote) Erich von Deniken, there are barely ten who know who William Foxwell Albright, the Nestor of Biblical archaeology, was, and hardly one who knows the name of Henri Frankfort, one of the most profound and original students of the Ancient Near East (“From Allegro to Zeitlin”). A movie based on The Da Vinci Code is scheduled for release at the end of this week. To help its readers better evaluate Dan Brown’s book, Jerusalem Perspective has published “Historical Howlers, Funny and Otherwise: Dan Brown’s Backward Understanding of Gnosticism” by Jerusalem Perspective author Jack Poirier. Poirier points out some of the major historical and factual errors made by Brown. Read Poirier’s article and you quickly realize the scope of the inaccuracies in Brown’s book. Many readers from my generation probably remember the hilarious riposte by Bluto, a character in the movie Animal House: “Was it over when the Germans bombed Pearl Harbor? !” One could not ask for a funnier example of a historical howler than that, and John Belushi’s performance made it even more hilarious. But historical howlers are not always funny. Consider, for example, the factual errors strewn throughout Dan Brown’s runaway bestseller, The Da Vinci Code. The howlers and other factual errors in the middle chapters of that book are almost too numerous to count (on p. 234, there are sixteen errors in the space of just three small paragraphs! ), and they are so absurd that debunking the book’s virtual history has been compared to shooting fish in a barrel. Unfortunately, probably only a fraction of that novel’s readers are any the wiser, and that is why these howlers are ultimately not funny. They will be even less funny when the movie comes out. The book [The Da Vinci Code] suggests that Jesus was actually married even though the Gospels never mention it. 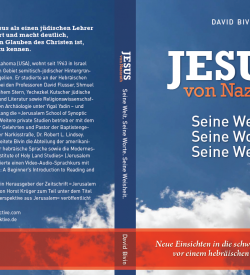 To quote a character in the book, “Jesus as a married man makes infinitely more sense than our standard biblical view of Jesus as a bachelor, because Jesus was a Jew, and the social decorum during that time virtually forbid a Jewish man to be unmarried….” (p. 245). Was Jesus married? Would he and Paul have been condemned for being single? According to scholar David Bivin, the answer is no. In New Light on the Difficult Words of Jesus, he writes [quoting Professor Shmuel Safrai], “A bachelor rabbi functioning within Jewish society of the first century was not as abnormal as it might first appear. Rabbis often spent many years far from home, first as students and then as itinerant teachers. It was not uncommon for such men to marry in their late thirties or forties. Just as some students today wait to marry until they finish their education, so there were disciples and even rabbis who postponed marriage until later in life” (p. 67). 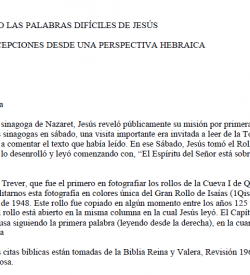 Bivin then gives two examples [suggested by Professor Shmuel Safrai] of rabbis from Jesus’ time who married after having disciples, or were putting off marriage until later because of their dedication to teaching the Scriptures. This fits well with Jesus’ statement that “others have renounced marriage because of the Kingdom of Heaven” (Matt. 19:12) and Paul’s affirmation of singleness as well. Rather than being an impossibility, singleness was a sign of a rabbi’s great commitment to God. 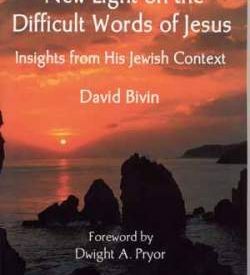 Download the chapter, “Why Didn’t Jesus Get Married?” from David Bivin’s new book. 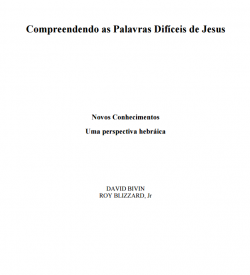 Purchase New Light on the Difficult Words of Jesus.